Labuan is a special region of Malaysia, which acts as one of the main offshore centers in Asia. Over the years, the region has become very attractive for the foreign businessmen who wanted to open a company in Malaysia, due to its taxation regime and the business incentives provided to those operating a business in Labuan. Businessmen can incorporate several types of legal entities in this jurisdiction and our team of company formation representatives in Malaysia can offer assistance on the registration of a Labuan company, as well as legal advice on the entities which are suitable for a designated business activity. What legal entities can be incorporated in Labuan, Malaysia? • trading companies: import or export companies are included in this category and investors benefit from tax advantages in Labuan. • non-trading companies (also referred to as holding companies): these are used for owning shares in subsidiaries located in other countries. The legal entities are registered following the same simple incorporation procedure, but it is important to know that they are liable to a different taxation system and they need to fulfill different requirements. Offshore companies that are registered in Labuan can have 100% foreign ownership and our team of company formation agents in Labuan can provide more details on this matter. You may request information and support if you want to open a company in Labuan. How can I open an IBC in Labuan? 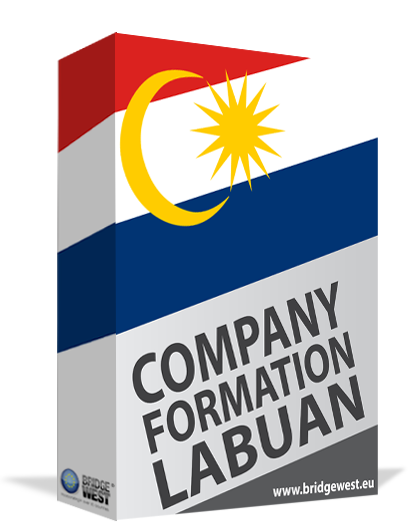 Labuan International Company or IBC as it is known is a preferred business structure chosen by foreign investors who are interested in tax advantages in this offshore jurisdiction. The registration of an IBC in Labuan is simple, and it starts as soon as the activities are set up, and the name is chosen. Also, institutions like the Inland Revenue Authority, Labuan Financial Services Authorities or the Central Bank of Malaysia will make the necessary approvals for an IBC in Labuan. Having 100% foreign ownership is a solid benefit for entrepreneurs from abroad who decide for investments in Malaysia. Besides that, 1USD is the minimum share capital for opening an IBC in Labuan. In matters of taxation, the 3% rate represents the flat fee imposed on the company’s profits generated in Labuan. Moreover, an IBC in Labuan is protected by a series of double taxation treaties signed by Malaysia with countries worldwide. Management: the company must have at least one company director and a resident secretary. Office: the company is required to have a registered office in Labuan, which may be a virtual office as described below. Capital: there is no requirement for a large minimum share capital for the Labuan company; the usual amount is 1 USD. Shares: although the company may not have bearer shares, treasury shares are allowed and the company can have different classes of shares. For those investors interested in Labuan company formation, our team offers special services related to the incorporation of legal entities. We can assist entrepreneurs in drafting the Memorandum and Articles of Association as well as the director and shareholder statements and other declarations when needed. Once the documents are finalized, we can help make the submission for registration. The company founders will also be required to apply for a work permit and this is granted when the individual will occupy a top management position. The permit can also be granted for other company members, such as for those in the middle management or for technical experts. One of our agents can provide you with more information about the work permit requirements for foreigners in Labuan. As a final step, we can assist in opening a bank account. This will require a different set of documents and submissions and investors may be required to open the bank account in person, as per the selected bank’s regulations. An alternative to company formation in Labuan is purchasing a ready-made company. This has several advantages, such as the fact that the business already has a chosen name and no checkup is required. Just like most of the offshore jurisdictions, Labuan offers complete protection for foreign investors who open companies. This means that information about the shareholders, about the managers and company beneficiaries are not publicly displayed. Complete anonymity and confidentiality are provided for companies in Labuan as long as the owners are not subject to a criminal investigation or a criminal record. Many investors from abroad decide for virtual office services in Labuan instead of opening a traditional office. Such services are at a fraction of costs compared to a normal business office, and more than that, the company will benefit from the services of a virtual assistant who will take care of the daily activities in the firm: mail, phone calls, faxes, business meetings, etc. Your company in Labuan can benefit from complete virtual office services, so do not hesitate to get in touch with our team of company formation representatives in Labuan for complete details in this matter. Investors will wish to open a company in Labuan, however, they can also set up a trust or a foundation when they need to have an entity in Labuan that is used for asset protection purposes. Below, our team highlights the main characteristics of the company, the trust and the foundation and one of our agents is able to help investors with more information, if asset protection is their main target. The company: it is founded by the shareholder who, under the Labuan laws, may remain anonymous. The company has legal personality and it is controlled by the Board of Directors. The main constitutive documents are the Articles of Association. It can be used for trading and investment purposes as well as for asset protection. The foundation: It has legal personality and it is controlled by a Council of Officers. The Charter and the Articles of Registration and the main constitutive documents. It can be used for asset holding and for distributing assets. The trust: it is formed by the settlor and the owners of the assets are the trustees. It has no legal personality, but it is based on a fiduciary duty between the settlor and the trustee. It is used for holding and distributing assets for the beneficiaries. Our Labuan offshore company specialists can help investors with more information about each of these business forms as well as the laws governing them. We can assist during the incorporation process. Entrepreneurs are welcomed to reach out to us for a consultation. Companies registered in Malaysia traditionally require a business associate who is a local citizen. The commercial legislation available in Malaysia allows the incorporation of a company with 100% foreign ownership, a regulation which is also applicable in Labuan. An important aspect is that a company in Labuan does not need a director who is a national citizen of Malaysia, as the commercial regulations stipulate that the investor can also act as the company’s shareholder, as well as the company’s director. There are also no audit requirements unless the company is operating in several industries, such as banking or insurance. A company in Labuan can be successfully used for asset protection purposes. For example, an offshore company can be used for protecting real estate investments as well as intellectual property. There is no capital gains tax and no inheritance tax in Labuan and this is why a company can be used to hold overseas properties. For intellectual property companies, the Labuan legal entity can be the one assigned to own the copyrights, trademarks and patents or know-how used by other companies, the original holders. They can sub-license the rights to the Malaysian legal entity. Individuals who own assets in different jurisdictions can use a Labuan offshore company as a holding company as a manner of minimizing probate. This allows for an easy transfer of ownership or succession because, as stated above, there is no inheritance tax and the transfer can take the form of a shares transfer. Companies in Labuan can be used for a variety of business purposes. Moreover, the fact that they can be easily incorporated, as well as the fact that the requirements are not cumbersome, makes them very attractive to foreign investors. Businessmen interested in receiving more details on the advantages of a company registered in Labuan are invited to contact our team of company formation specialists in Labuan.